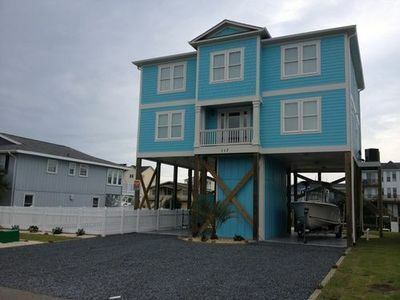 4 Bedrooms/2 Baths: 1 King (made up of 2 Singles), 1 Queen, 4 Doubles. 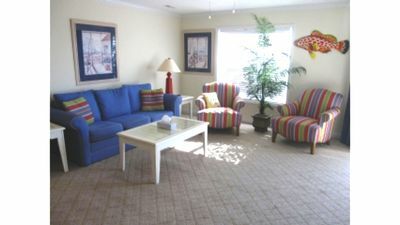 5 flat screen TV's with cable, 2 VCR's, 2 DVD players, DSL wireless internet, phone. 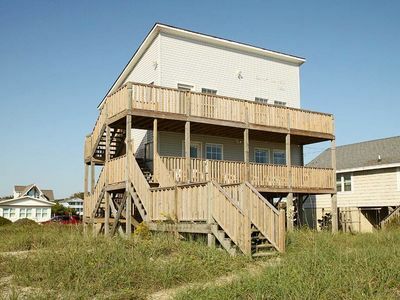 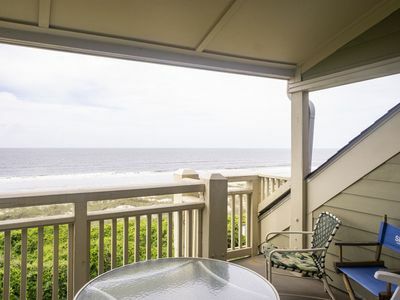 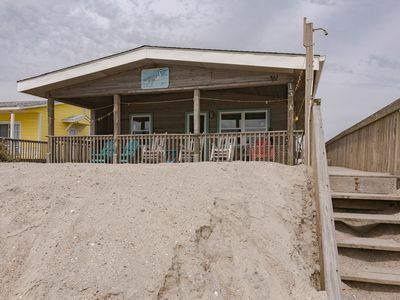 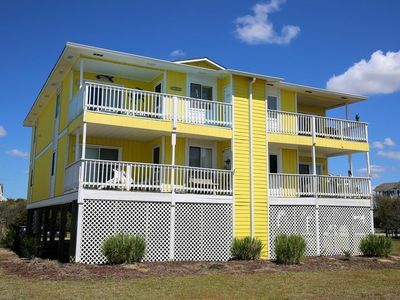 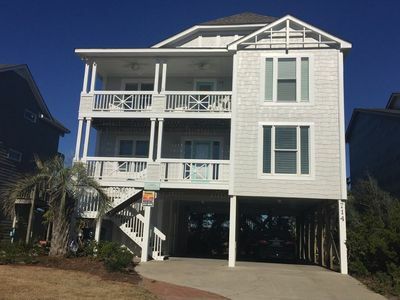 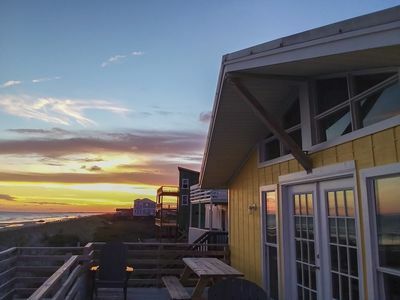 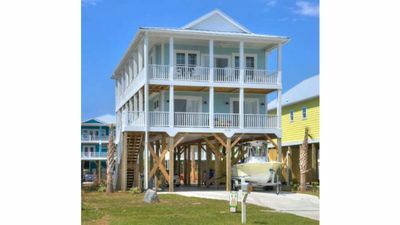 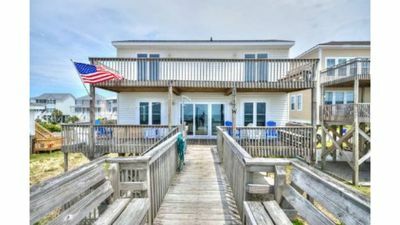 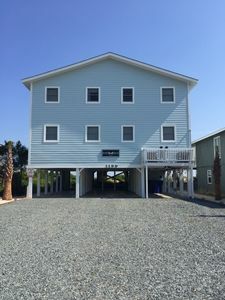 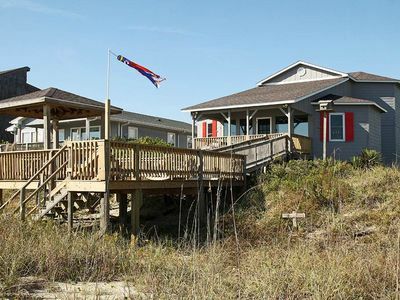 Oceanfront deck and covered porch with rocking chairs with gate, private gazebo with furniture, outdoor sink, enclosed outdoor shower with hot and cold water, handicap ramp access from ground level to 1st floor, direct access to beach. 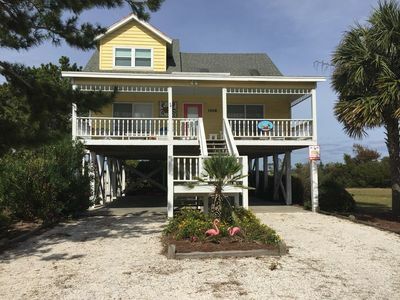 Carpet and tile floors, living room and dining area with ocean views, large well-equipped kitchen, dishwasher, washer/dryer, central heating and air. 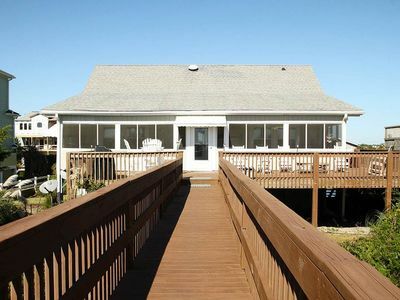 Games, books, puzzles, magazines, telescope and binoculars. 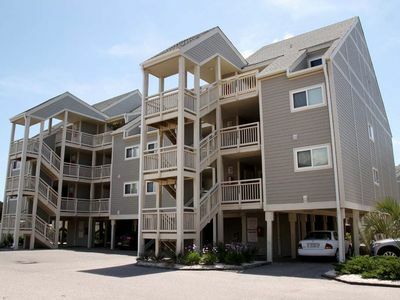 Great Upper Level Condo with Ocean, Waterway & Marsh Views! 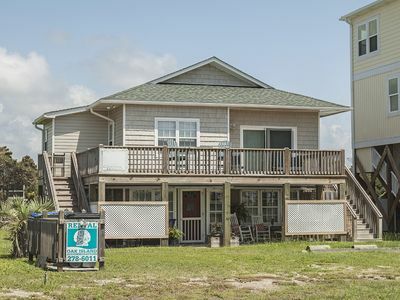 Unobstructed Ocean, Waterway & Marsh Views! 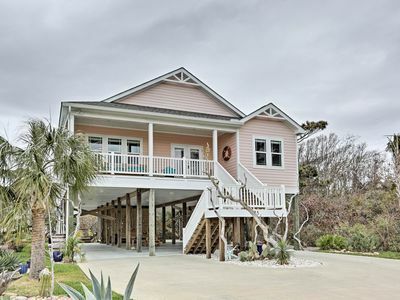 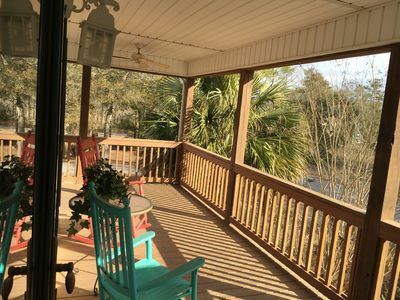 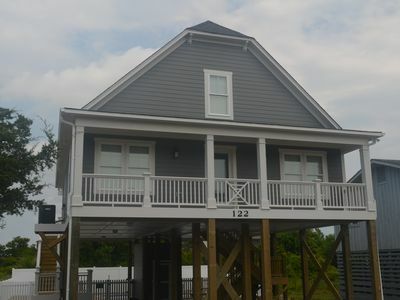 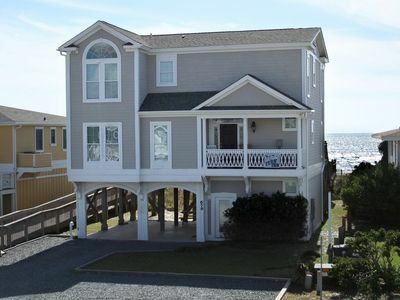 Spectacular Ocean, Waterway & Marsh Views! 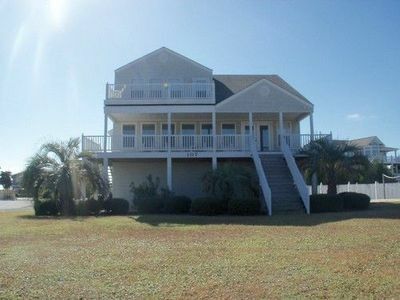 Perfect Family Vacation Home!